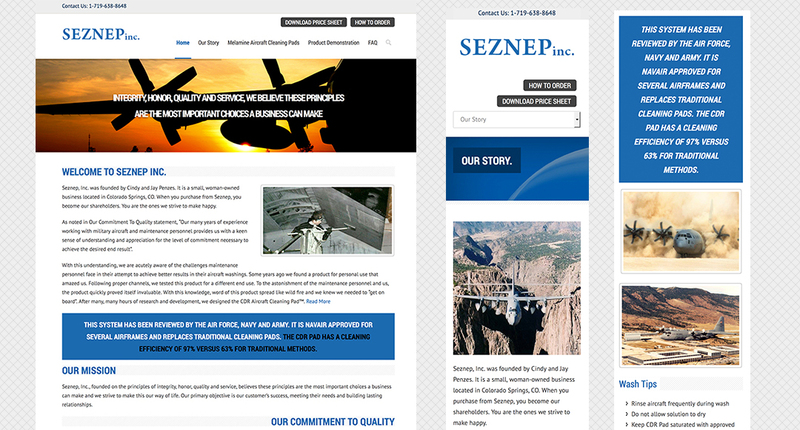 Seznep, Inc. is a woman-owned business that has over 19+ years experience in washing operational flying aircraft weighing over 85,000 pounds. They needed a website that would clearly position their product and services as the leader in their industry. The results can be seen here. Chris worked closely with the owner to ensure the branding and design was exactly what they wanted and needed and that the new website would promote their product and service in a professional and concise way.